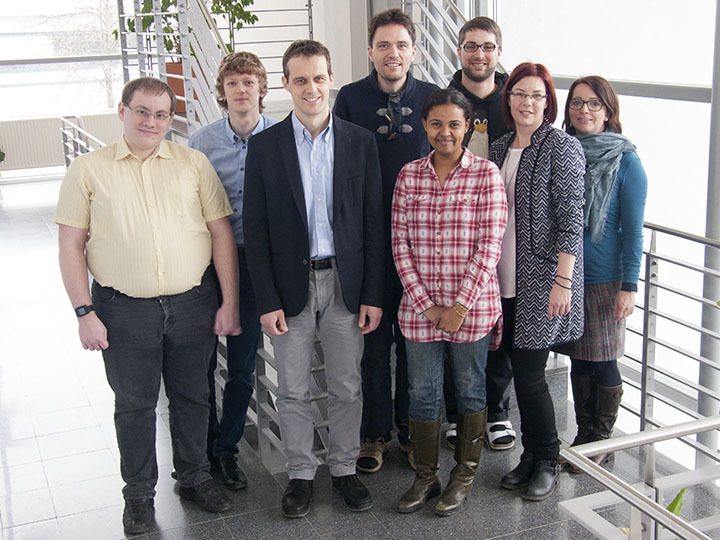 The Database Research Group is part of the Department of Computer Sciences at the University of Salzburg, Austria. Our research interests include data-centric applications in database and information systems with a particular focus on similarity search queries over large data collections, for example, approximate matching of strings and trees, efficient indexes for distance computations, and top-k queries. Other fields of research include load balancing algorithms for distributed frameworks like MapReduce and queries in geographic information systems. The research results are new algorithms with performance guarantees, which are implemented and evaluated on the motivating application. Our paper "A Scalable Index for Top-k Subtree Similarity Queries" got accepted at the ACM Special Interest Group on Management of Data (SIGMOD) 2019. Our paper "Effective Filters and Linear Time Verification for Tree Similarity Joins" got accepted at the IEEE International Conference on Data Engineering (ICDE) 2019. Our paper Set Similarity Joins on MapReduce: An Experimental Survey (joint work with researchers from Berlin and Mainz) got accepted at the Very Large Data Bases Conference (VLDB) 2018. Our paper "A New Perspective on the Tree Edit Distance" by Stefan Schwarz, Mateusz Pawlik, and Nikolaus Augsten has been published and presented in Munich at SISAP 2017 conference. You can read it [HERE]. Nikolaus Augsten presented an invited talk "Effiziente Techniken für Ähnlichkeitsabfragen in hierarchischen Daten" at ACSD 2017 / IMAGINE 2017 in Vienna. The slides are available for download. Nikolaus Augsten interviewed as "Informatiker der Woche" (computer scientist of the week). Find the full interview [HERE]. Our TODS paper on the efficient computation of the tree edit distance received the Kurt-Zopf-Förderpreis awarded by University of Salzburg to the best journal paper 2015. Our research project "FFTED - Fast and Flexible Tree Edit Distance" has been funded by Austrian Science Fund (FWF). Find more details [HERE].